Founded by Jack Pickard and Trevor Wilkinson in 1947 TVR was at first named Trevcar Motors, and later was renamed. One of the first manufacturers to used a reinforced by glass plastic based frame body over a tube styled steel internal framework TVR proved to be a sporty car. By the latter end of the 50s the cars used a 4 cylinder motor to power the 100 horse car, and most of these were sold in the English markets. During the first two decades, due to stringent tax laws that made selling vehicles less profitable, TVR offered many of the cars as a kit car model rather than a manufactured vehicle – however this was ended after the government caught on in the 70’s. During the 60’s an American car dealer had a striking idea, and that idea lead to one of the cars actually being named after him. Jack Griffith took a 4.7 Liter V8 engine out of his car, at the time an AC Cobra, and then mounted it into a TVR car. 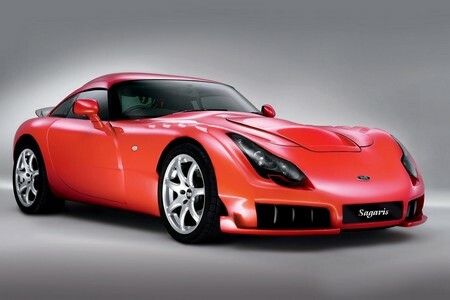 Thus the TVR Griffith was born. Throughout the latter 60’s TVR used many engines before finally settling back in on a Ford engine that was capable of almost 130 horses, and easily modified for more. However in the 70’s more picking and choosing for engines came about, and many vehicles had several to choose from. During the 80’s the company began to focus again on the power and performance of the mighty V8, moving away from smaller V6 based technology and engines so that more performance could be injected into the frames of the TVR Cars. This brought capacity from 3.5L to 4.5L almost instantly and gave the car a surge in horsepower. During the 1990’s they continued with V8’s, using Rover as a supplier and then modifying them until they eventually developed and tested their own engine designs, which culminated in a light weight alloy based V8 engine that could run as well as a traditional, but was a much lighter solution. Recently in 2004 the company was bought and thus was now owned by a man named Smolensky, a Russian who intends to keep TVR in GB. However in 2006, due to declining sales, staff was cut and production was scaled back, and a new factory was to be chosen because the lease on the old one was up, and it lacked the adequate resources for more modern technologies. Later last year it turned out body production would be outsourced to Italy, and later a year ago this month Smolensky split TVR into three different companies. Current affairs are still in much turmoil.